Each office has a myriad of tasks to perform, including storing and filing information, accessing data, developing documents, sending invoices, and creating promotional or informational materials. Normally, these would all require the use of multiple pieces of technology, including scanners, printers, file-management software, and other items. However, by implementing a centralized equipment station in an office’s processes, these tasks and more can be condensed into a unified, streamlined process that eliminates clutter and maximizes office efficiency. The task of ensuring that this technology is correctly implemented is a complex one at least, and it requires a sound understanding of both information management and the way the office currently functions, not to mention high-quality equipment. With Caltronics Business Systems, this task becomes much easier to manage as third-party experience comes on board to help with implementing the technology needed. Caltronics can help obtain many benefits in the workplace with their consultative approach to implementing business solutions. One of the benefits of their business systems is streamlined document access. Once documents are scanned and filed using the latest document capture and filing technology, they become readily available for personnel both in the office and abroad. This system is also much more secure than traditional paper filing, as there is no master copy to risk losing. Production and variable-data printing were once processes that required in-depth knowledge of complex procedures. With recent technologies, however, it has become far easier to customize massive volumes of documents and produce all sorts of materials, including booklets, pamphlets, flyers, presentation folders, and so forth. Having everything stored electronically in a central hub will allow it to be more easily sent to clients, personnel, and other stakeholders. Faxing is much less expensive with the technologies provided by Caltronics. Caltronics Business Solutions utilizes a wide variety of technologies to meet specific office needs and goals. These technologies include Konica-Minolta bizhub equipment, HP managed print services, Captaris RightFax servers, and several others. To learn more about how centralized business solutions can help optimize office efficiency, visit the company site at caltronics.net. This entry was posted in Uncategorized and tagged Caltronics, Caltronics Business Systems, http://www.caltronics.net on September 22, 2015 by riehlt. When you’re feeling like you need some good advice on a particular aspect of your business, it can be tough to try to find the answer in your own previous experience. Many times, the words of other great leaders and business people can provide just the inspiration you need to find your answers. Here are some great quotes to get you started. Clearly Walt Disney needs no introduction. The man who created an empire that now includes much of the media both children and adults (ABC, ESPN) consume. 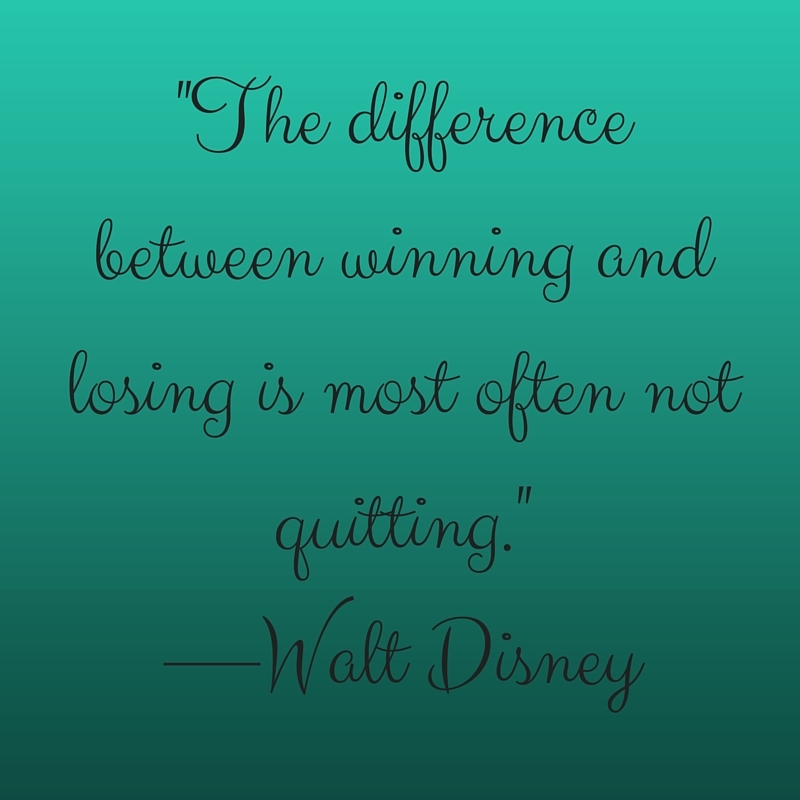 This quote exemplifies the importance of how perseverance leads to success. Giving up always leads to failure. But sometimes, even with your best effort, a business venture doesn’t go quite the way you planned. This quote, by another great business person who needs no introduction, shows the importance of taking failures and using them to learn and grow. Running a successful business isn’t about doing what everyone else is doing. It’s often times the opposite. Now, this doesn’t mean doing something that is socially unacceptable to the point that your business will be rebuked or sued, but it does mean that risk-taking is very important. Mark Zuckerberg, the incredibly successful young founder of Facebook, knows a thing or two about taking risks. These include starting a social media empire and going public, sending him to the peak of 21st century success. Your business needs to take risks (albeit smart and calculated, not callous ones) in order to succeed too. 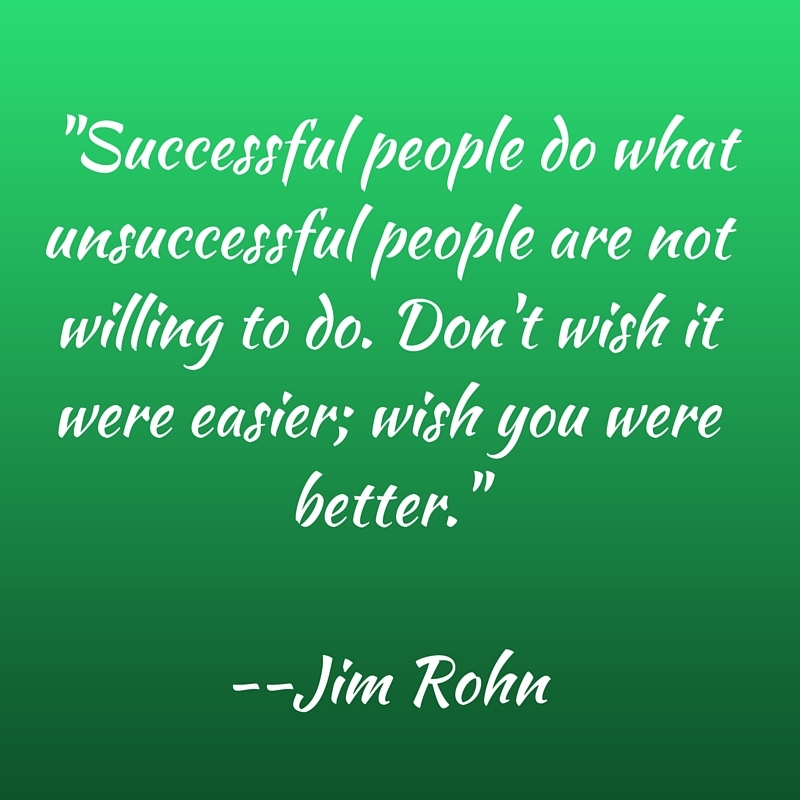 Jim Rohn, an entrepreneur who came to prominence in the mid-late 1900s, represents a classic rags-to-riches story. Many businesses can relate to his story just as they can to this quote. Most businesses don’t stem from a billionaire, but a passionate individual group with a great product or plan. There will be plenty of challenges, but these challenges only help your business get better. Disraeli wasn’t actually a businessman but the Prime Minister of the UK in the late 1800s during the height of the British Empire. But this quote certainly resonates with any business. It’s important to always remember what your goal is as a business, both from an individual and team perspective. By keeping everyone on the same track, a business has a much higher chance of succeeding. And finally, this quote should help you keep in mind the people who you will often owe a lot of your success to – your customers and consumers. The moment that you disconnect from them is the moment that your business will be in trouble. At Caltronics, we know that running a business can sometimes seem impossible. But with the help of good partners, the impossible can become a reality. This entry was posted in Uncategorized on September 21, 2015 by riehlt.